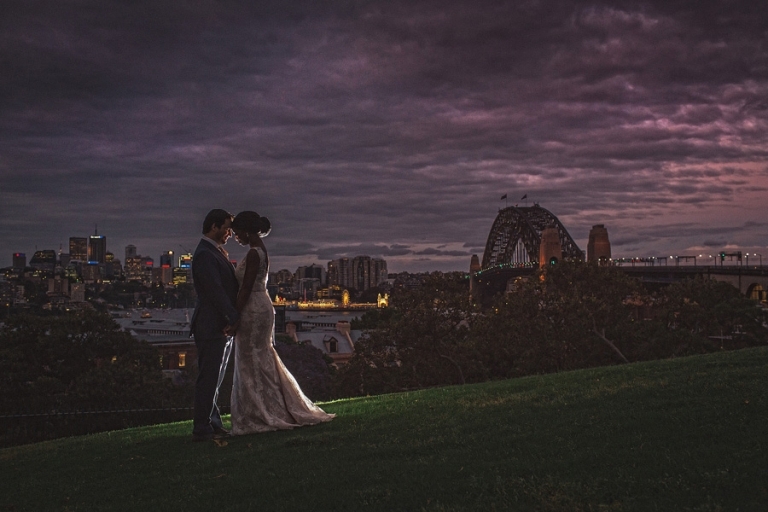 Michael and Stella were married on Bradleys Head, in Mosman Sydney, and partied the night on in The Rocks. Sydney behaved itself for us, although the opera house was feeling a little blue, and the sun popped out at the end to say goodnight. A few pics here of the day and more to come soon. Thanks Michael and Stella for having me along, and for being so hospitable, it was a real pleasure!! The rain was pouring down when I arrived at the hotel where Sanae was at 7am for her prep photos, even I was a bit nervous about the day ahead. But after some serious praying and maybe a lot of luck, Sydney showed us its best. I have to admit that Sydney is one beautiful city, I love coming back when it behaves itself, so they did make a great choice. The harbour is something you just want to photograph! 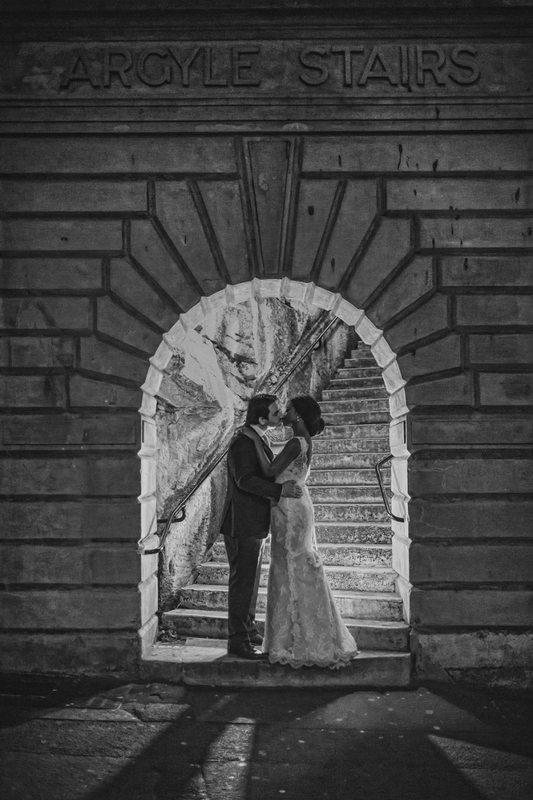 So here are a few frames from their wonderful day. 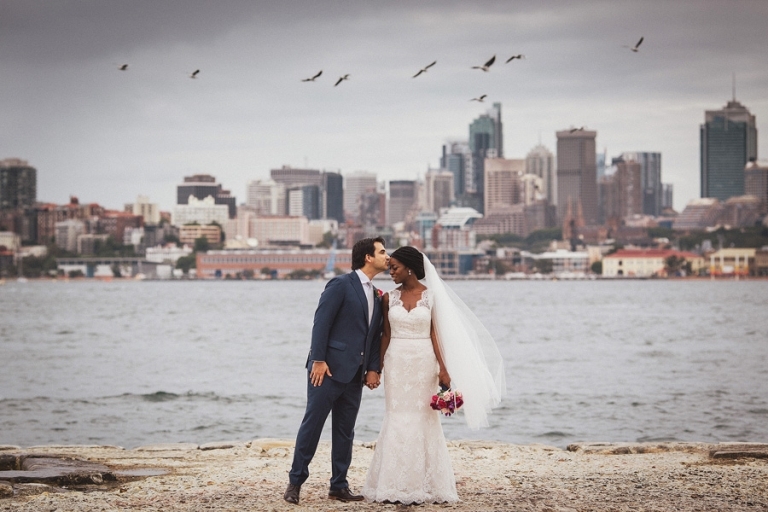 Just after Claire was all ready to go to the alter, I was walking to my car and heard from inside someones house with an open door, the radio “Sydney could be in for 100km/hr winds this afternoon!”, and that’s all I heard. Well yes it happened last Saturday, just as we arrived at Bradleys Head Mosman for bridal party photos it all went sideways, literally. 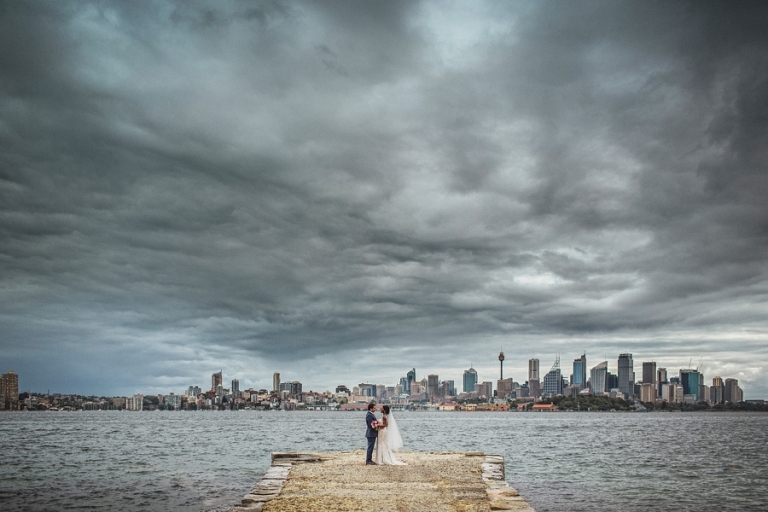 This is one during the storm in a protected area, and one after the main storm had eased, still very windy, Jeremy and Claire braving the storm to have some memorable shots of their wedding day. I’m sure they will never forget their amazing day!